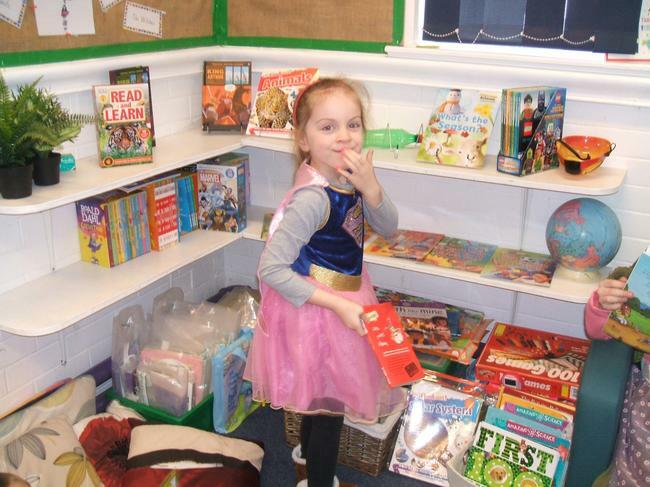 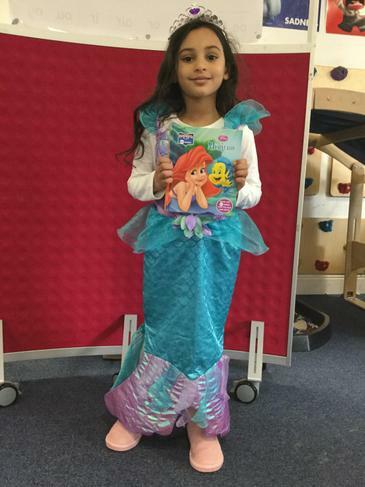 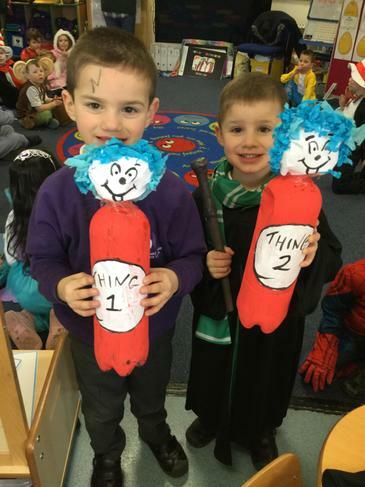 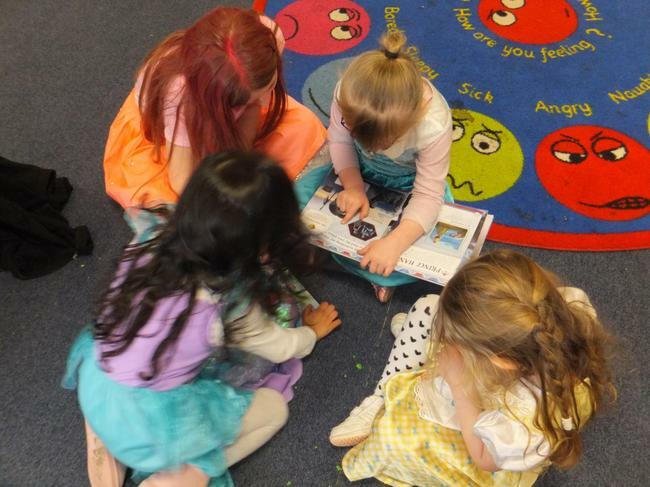 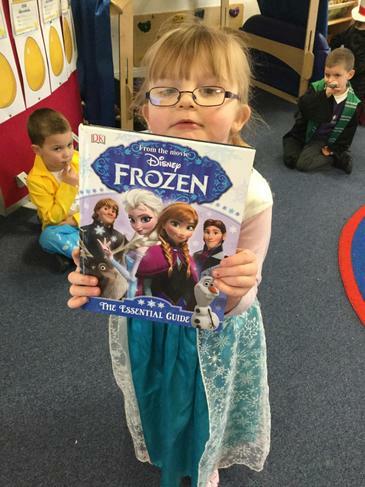 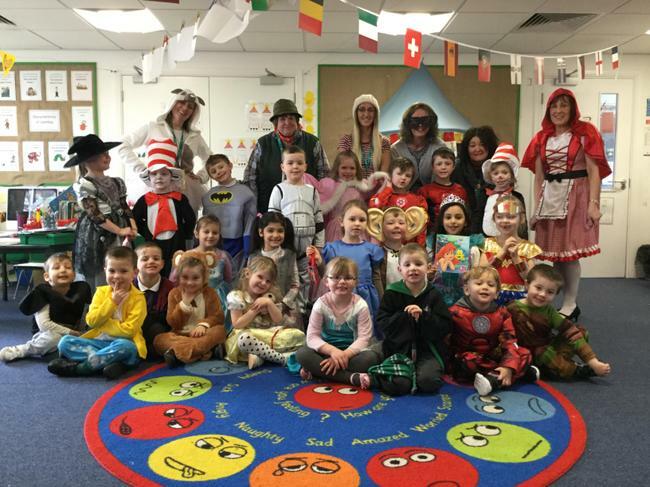 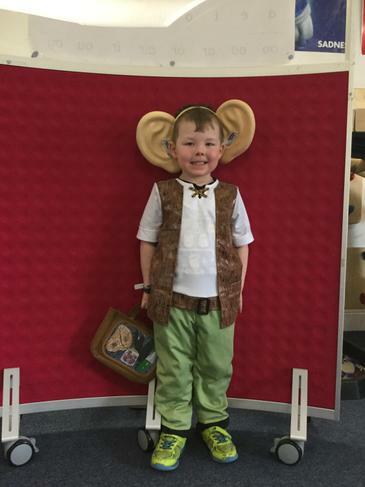 Reception had a fun packed World Book Day. 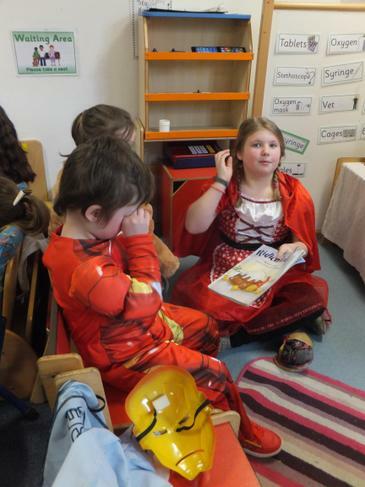 We started with a parade to show off our costumes, then the grown ups acted out Chicken Licken for us . 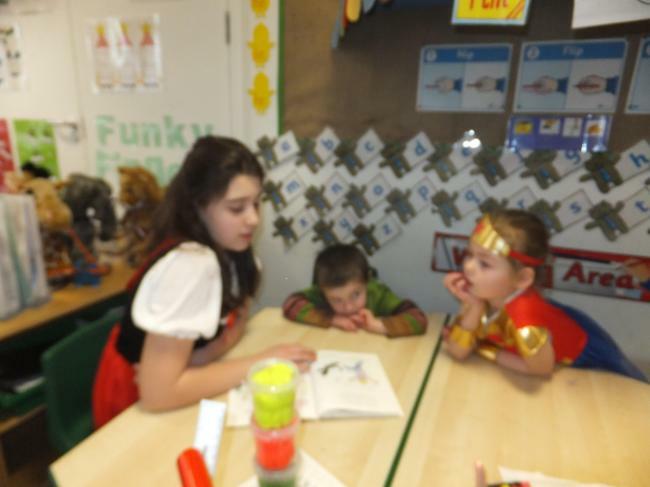 We had lots of craft activities and Year 6 children came to read us stories. 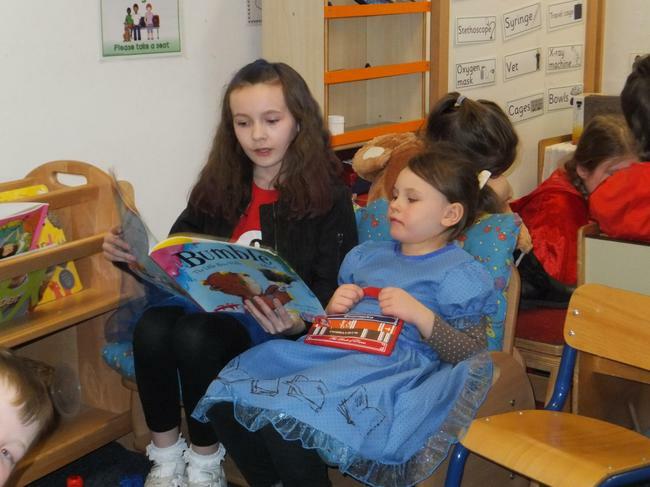 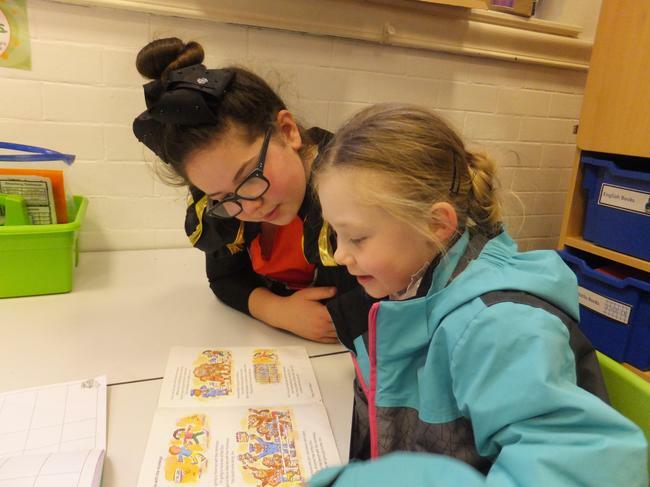 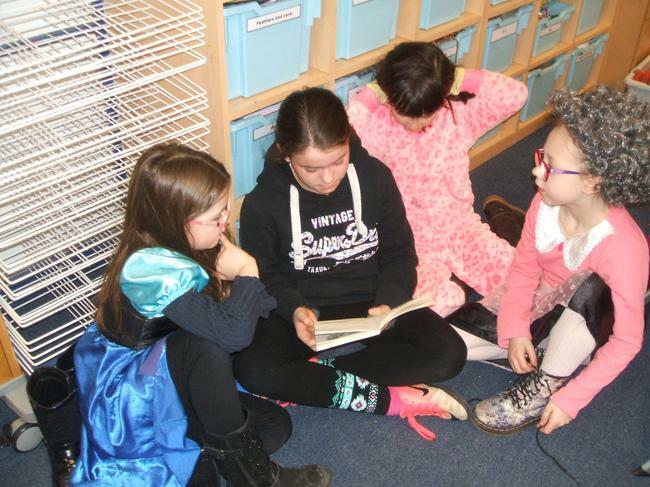 Year 6 book World Book Day characters and our favourite activity - reading with the younger children! 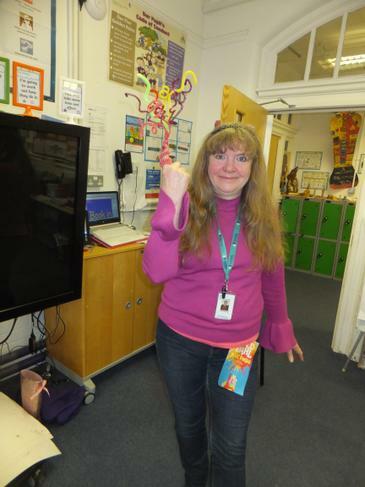 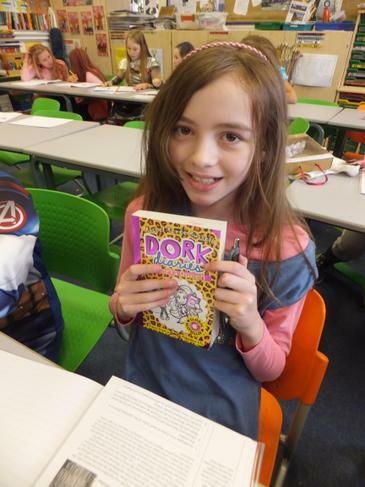 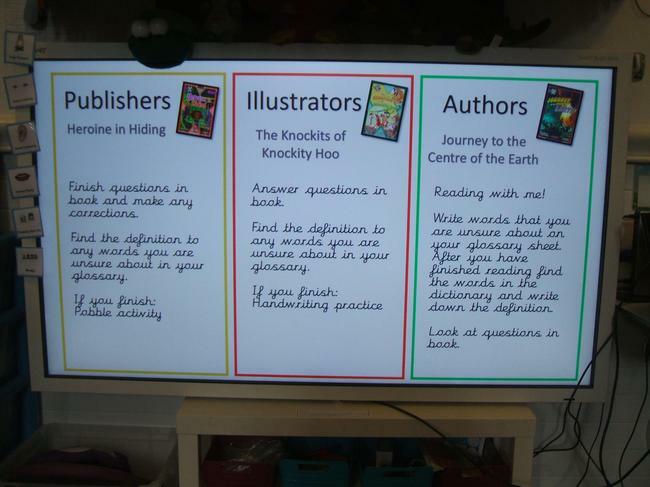 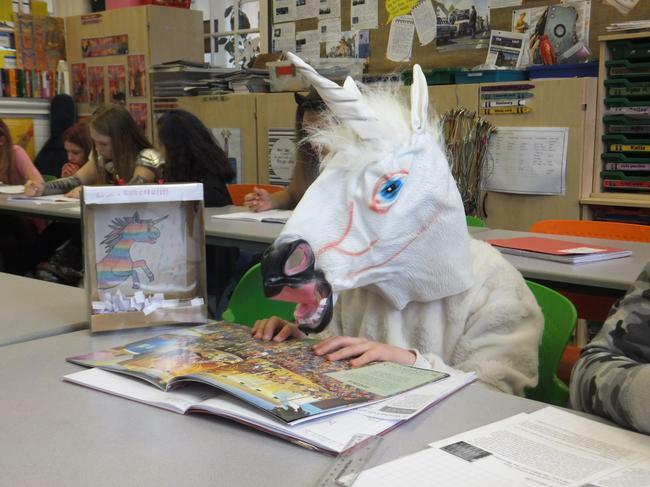 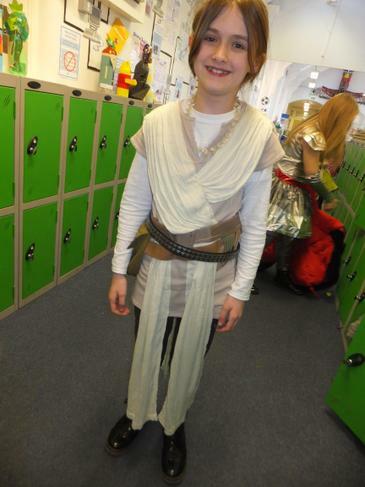 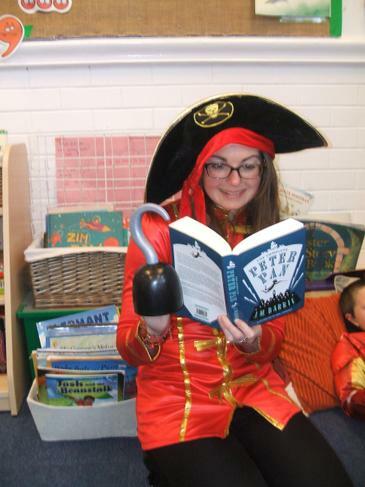 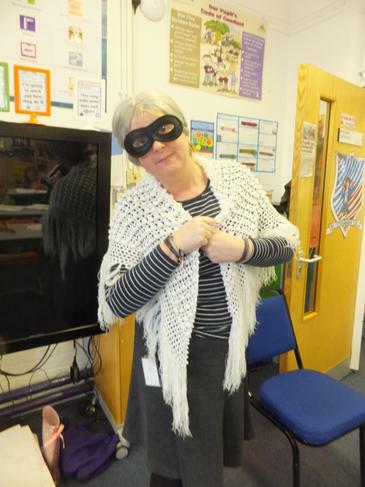 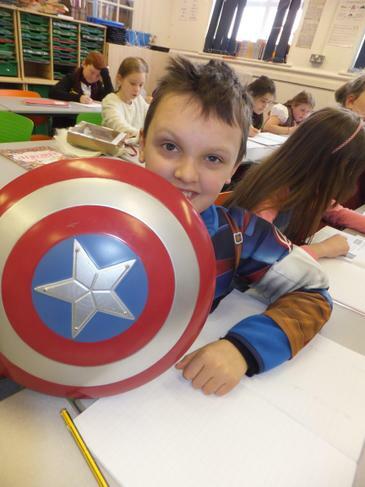 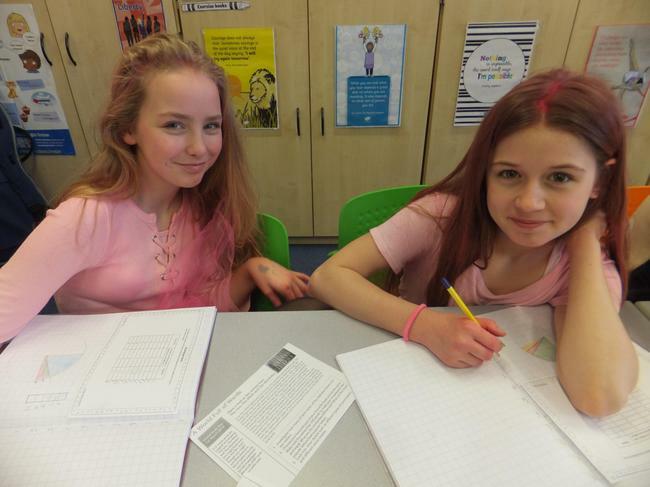 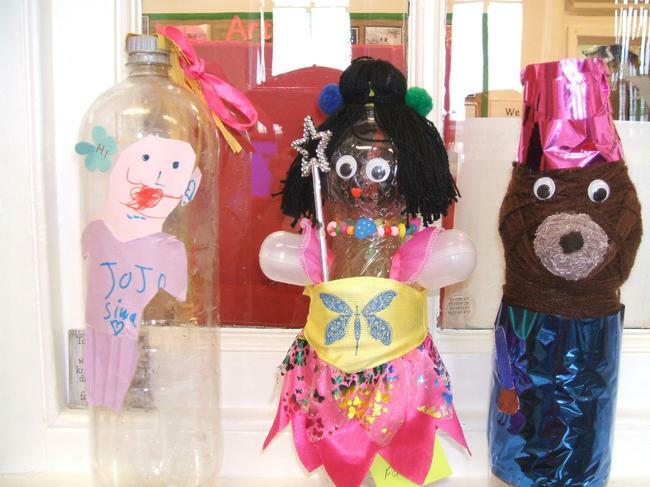 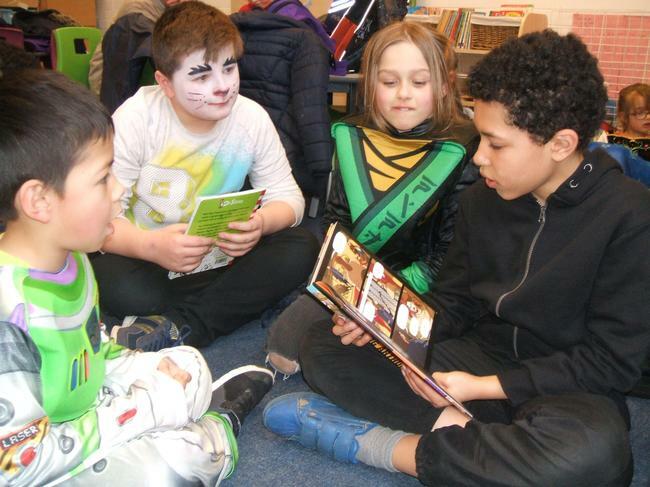 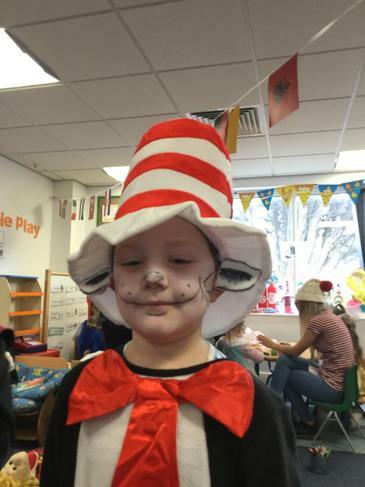 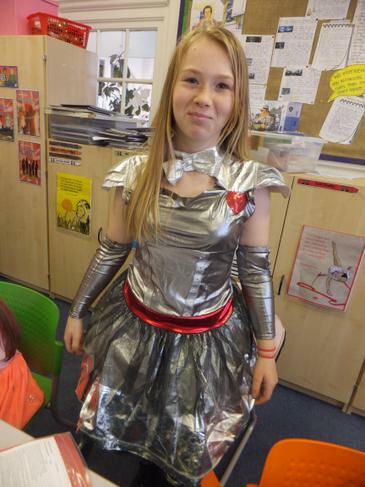 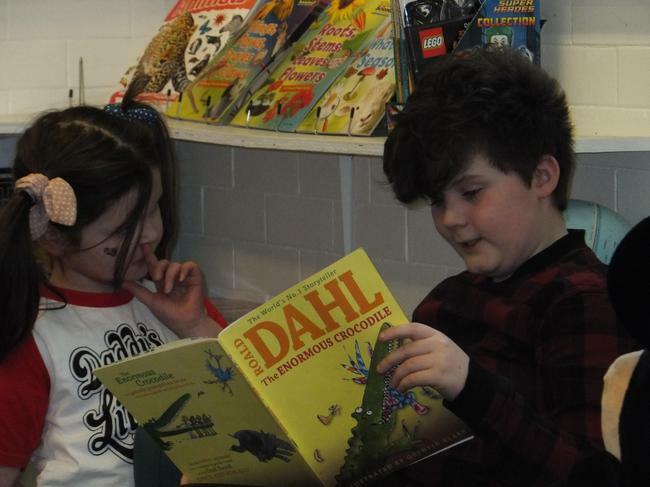 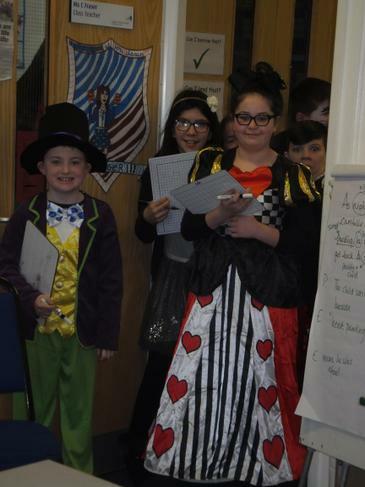 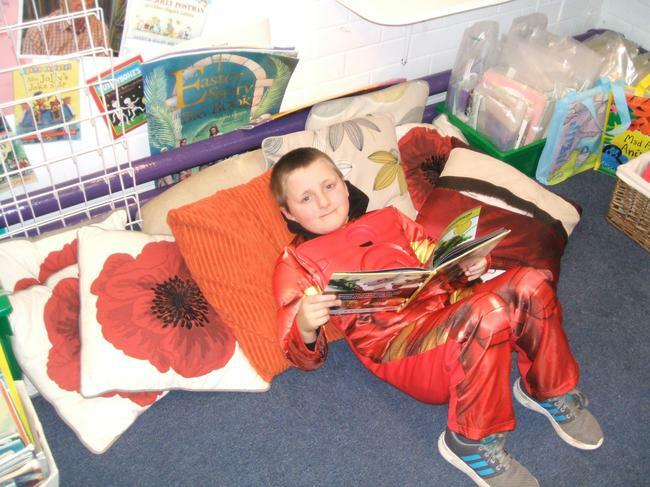 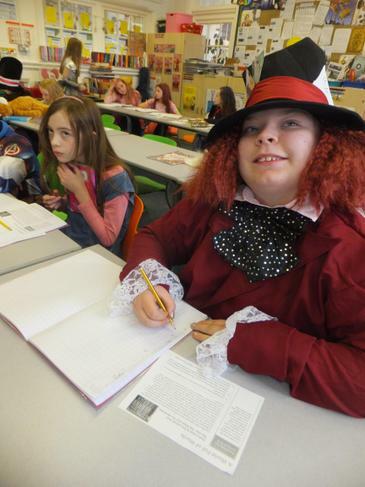 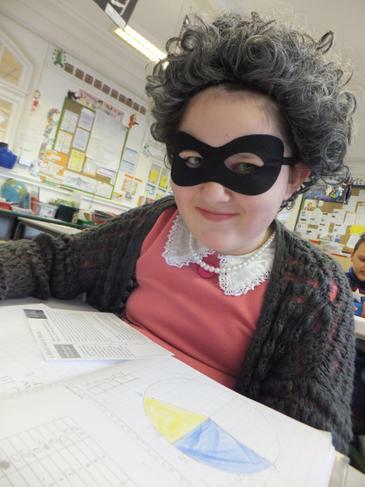 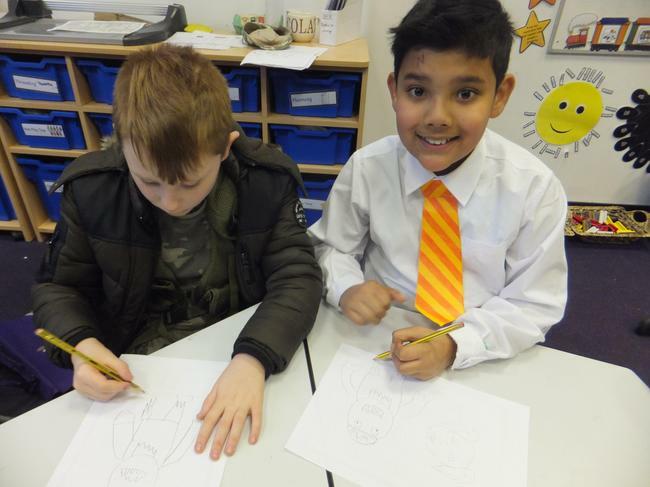 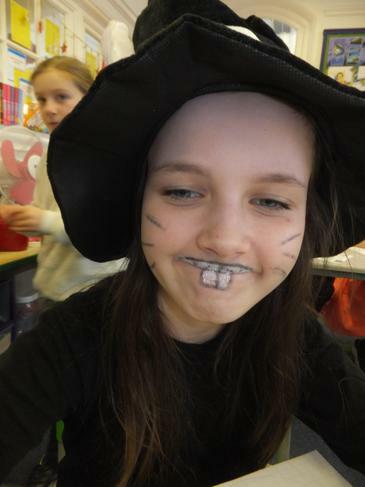 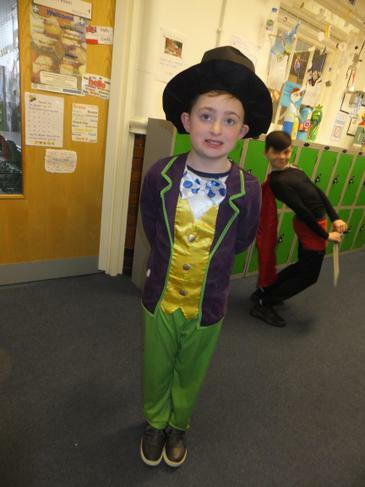 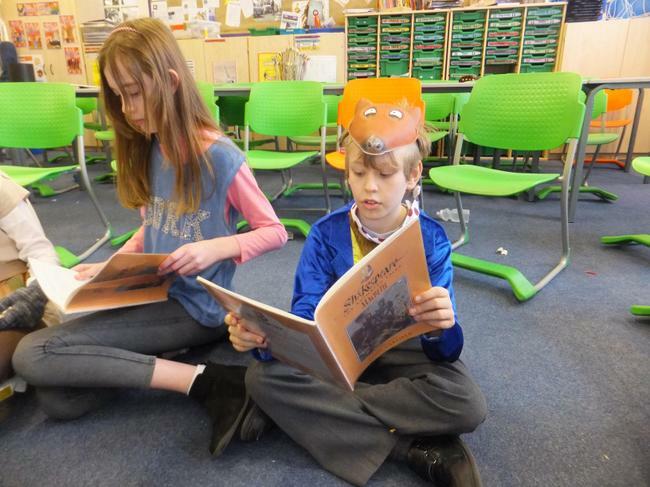 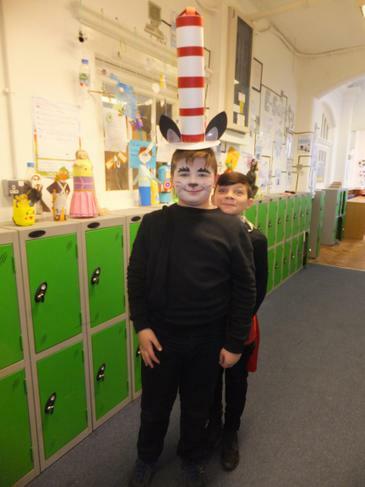 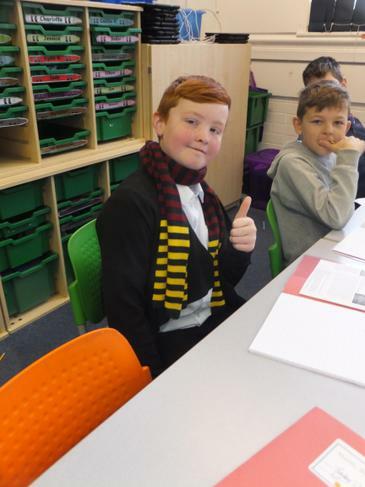 Above is the link to Year 5s World Book Day photographs. 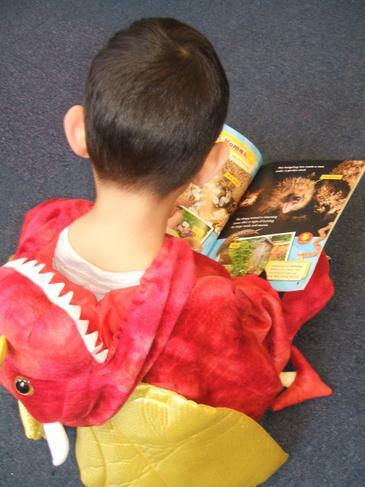 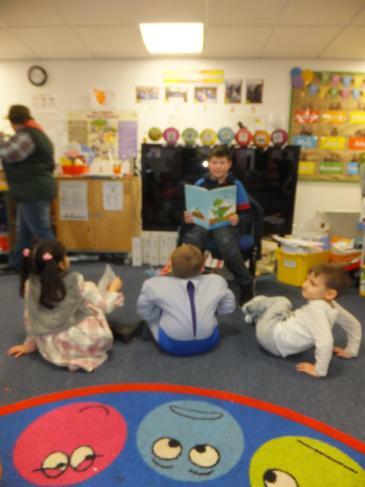 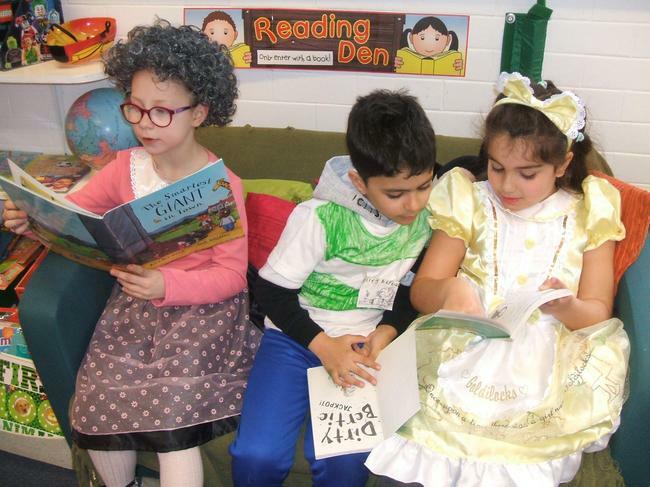 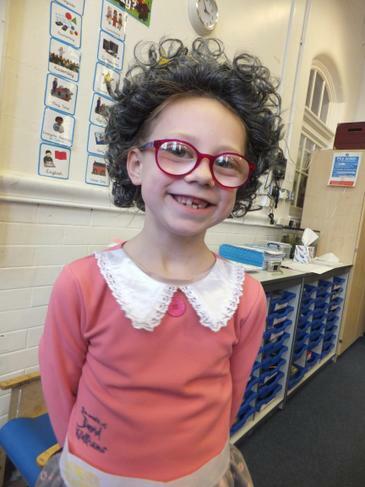 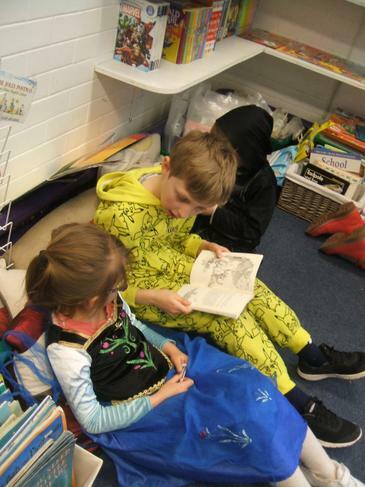 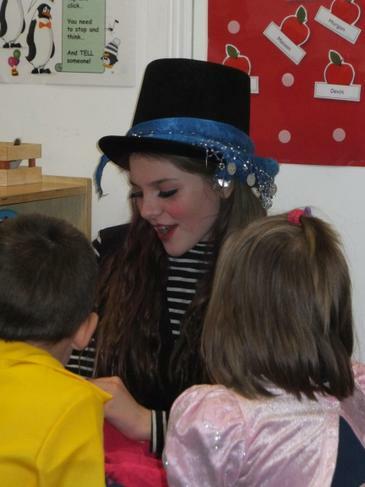 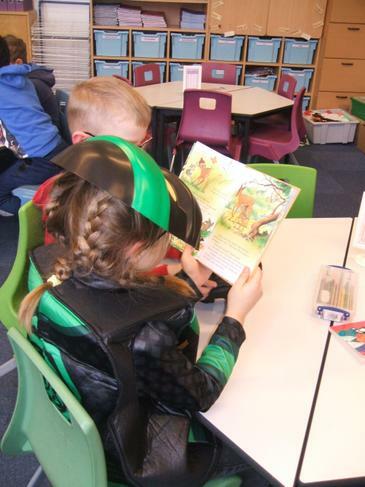 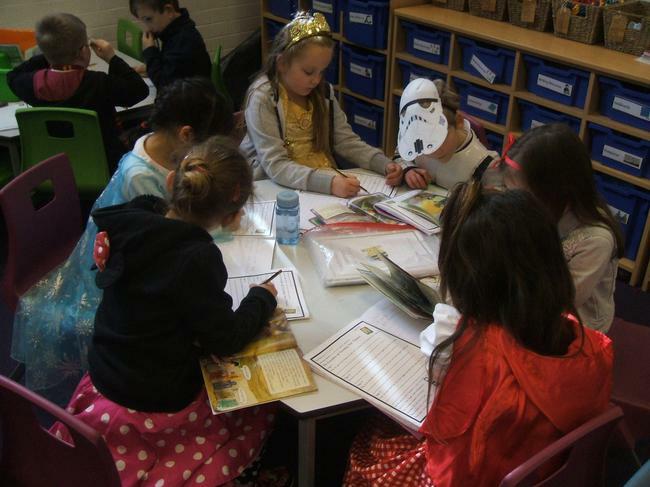 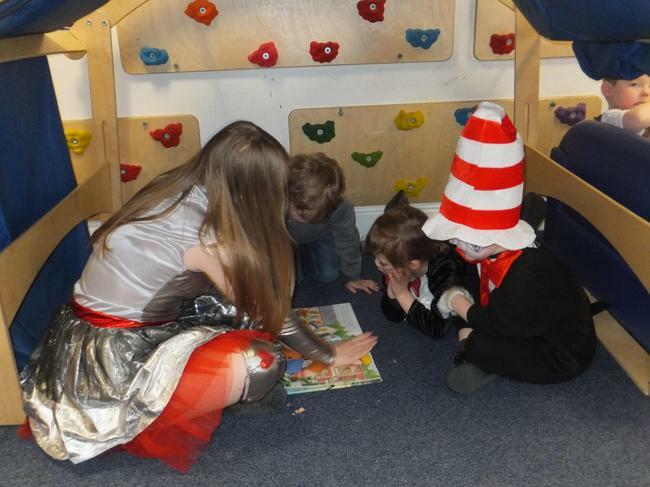 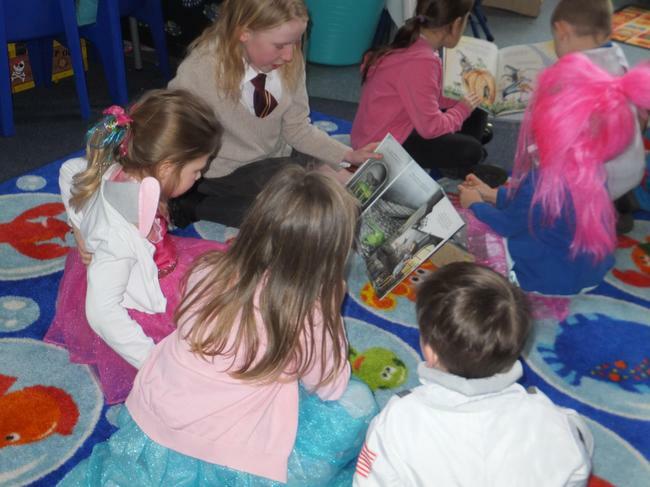 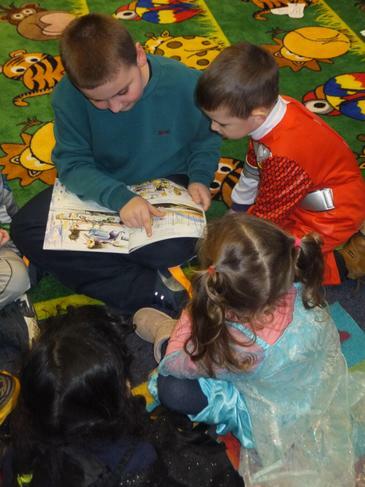 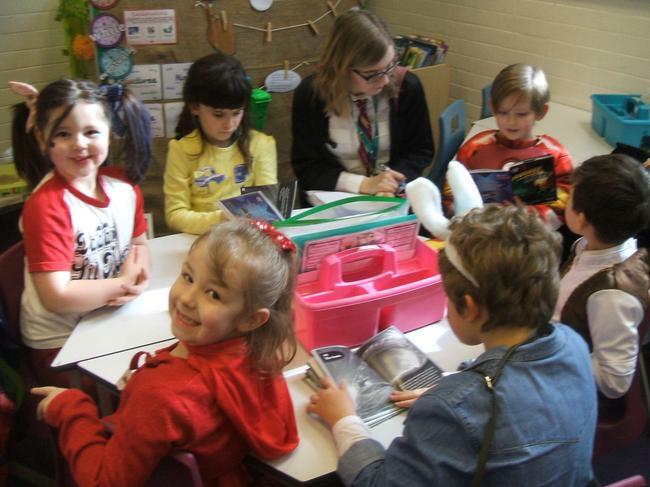 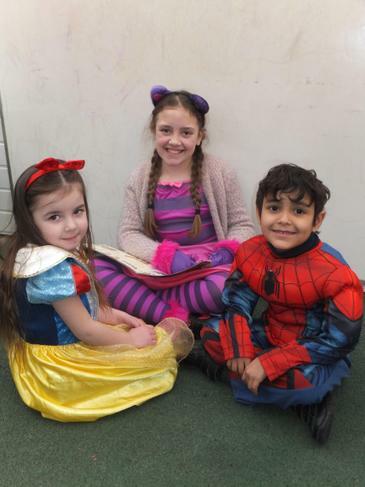 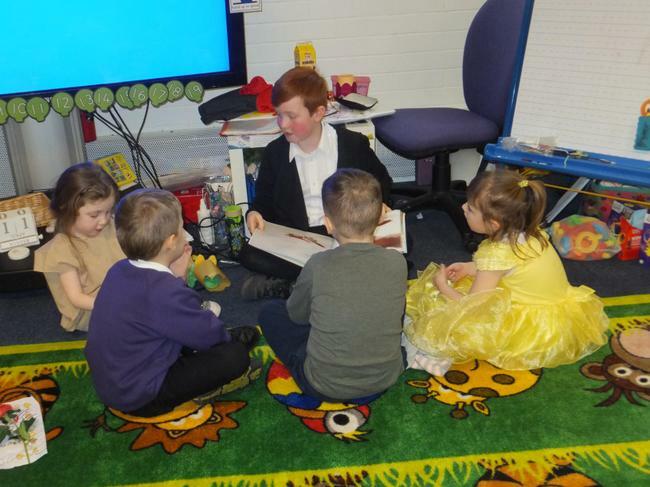 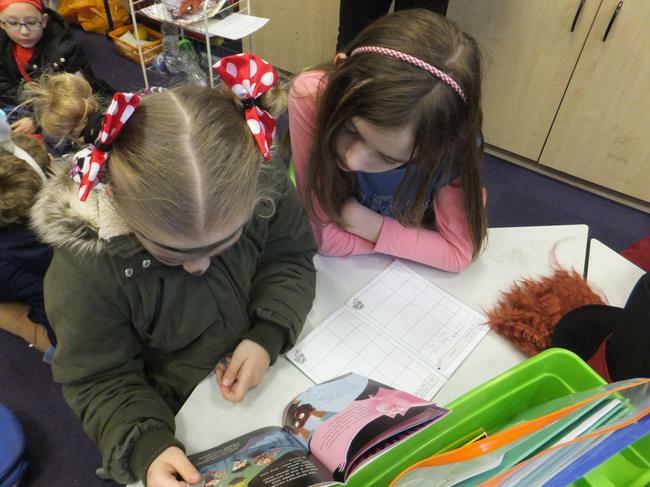 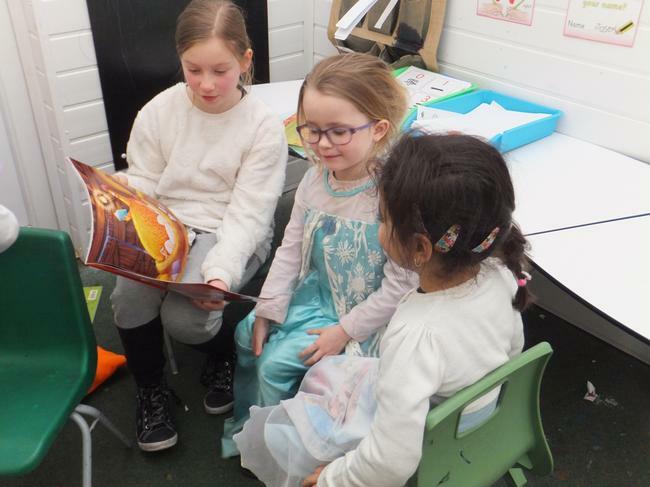 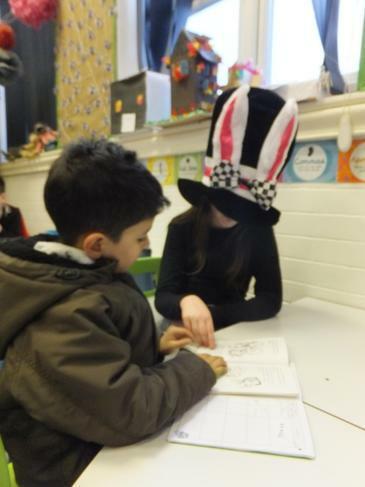 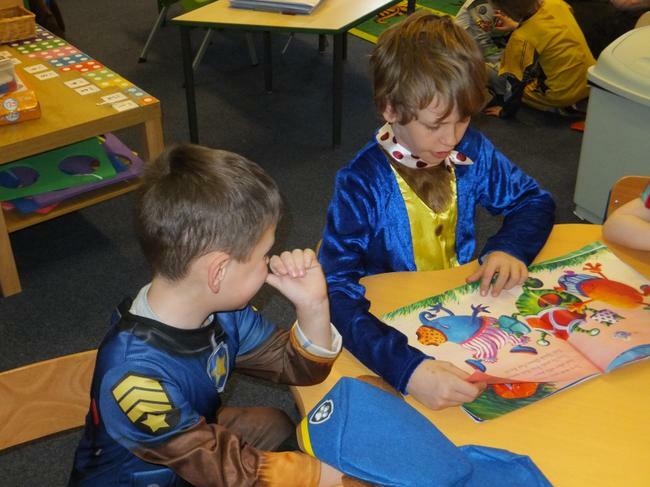 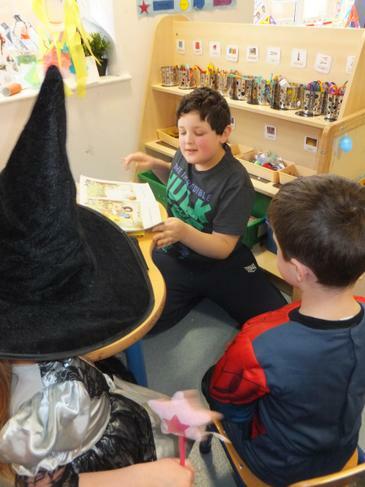 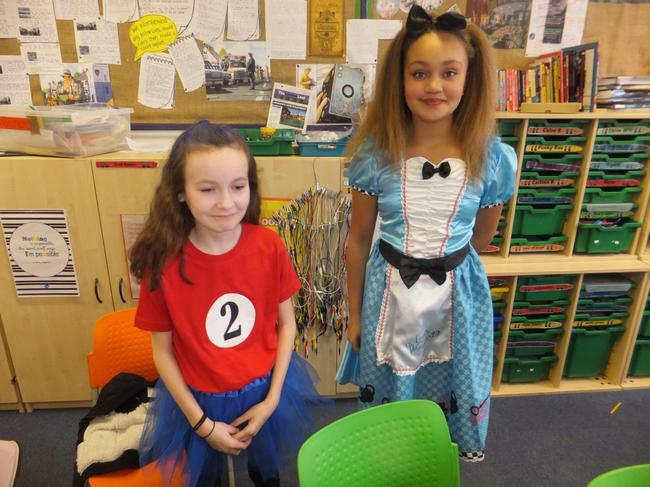 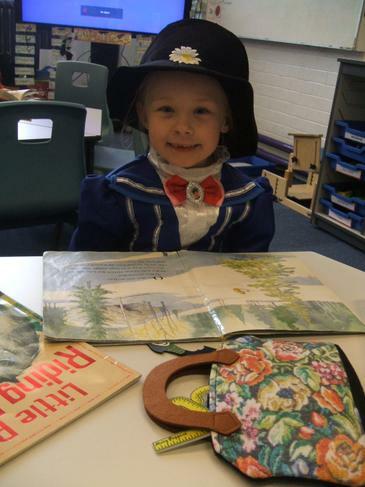 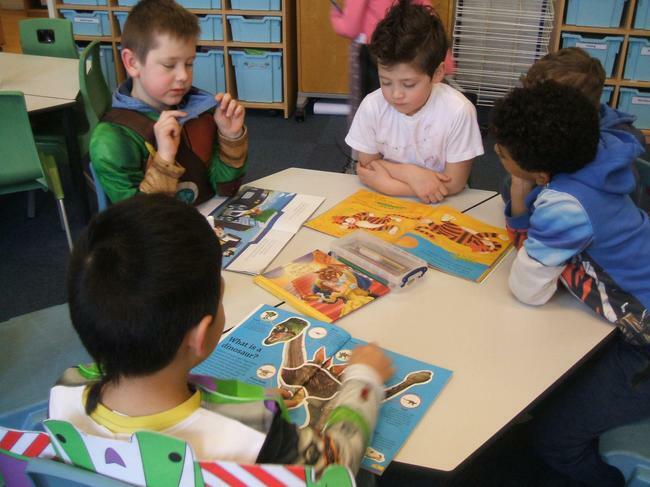 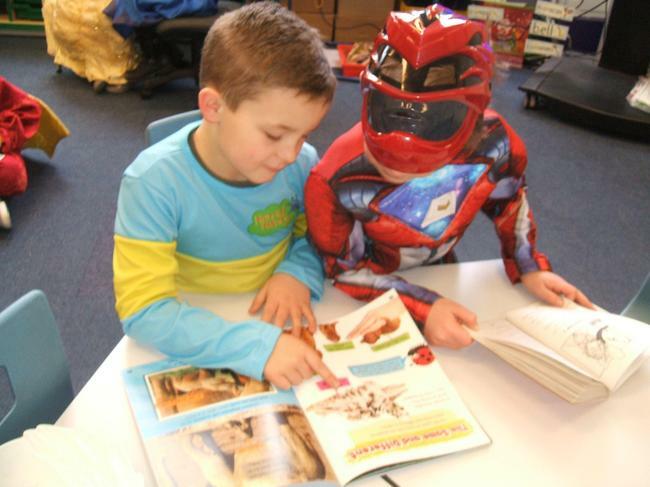 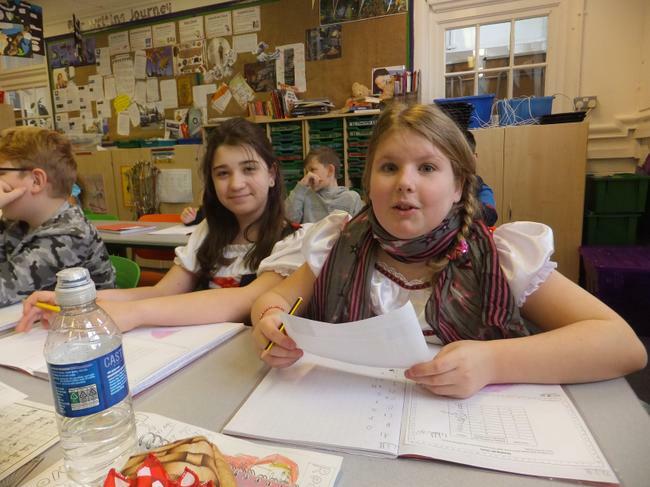 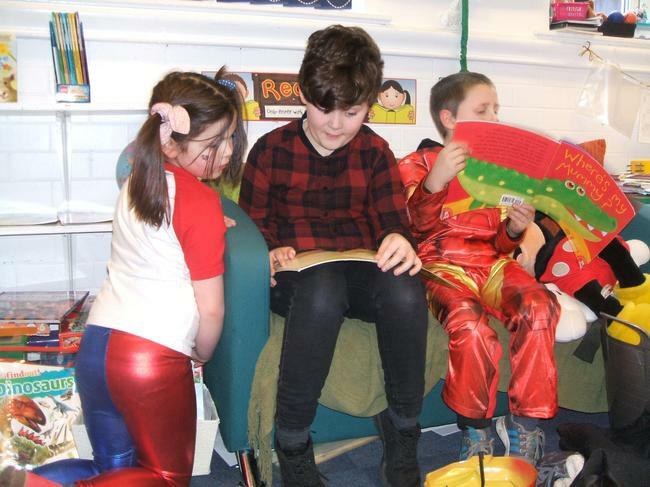 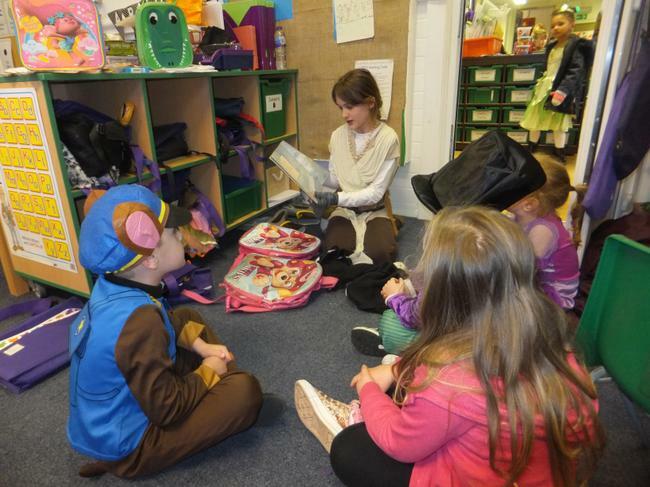 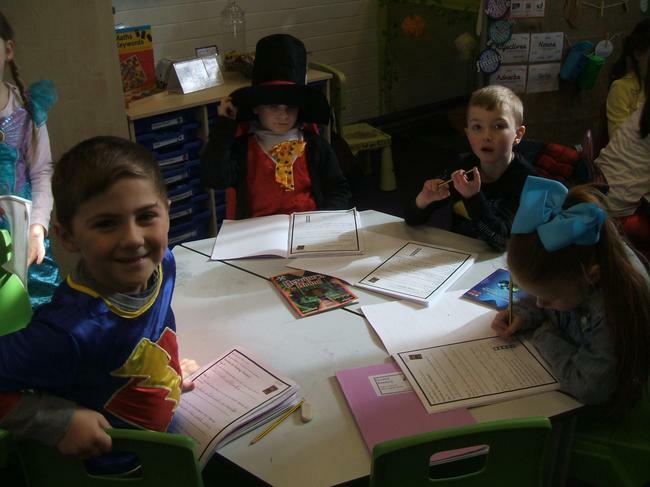 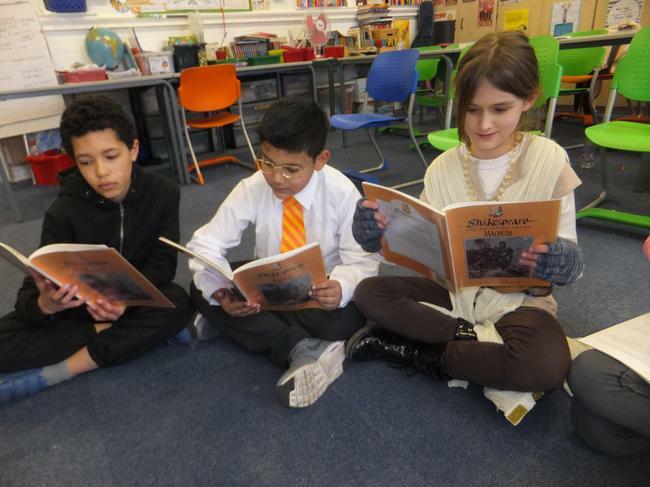 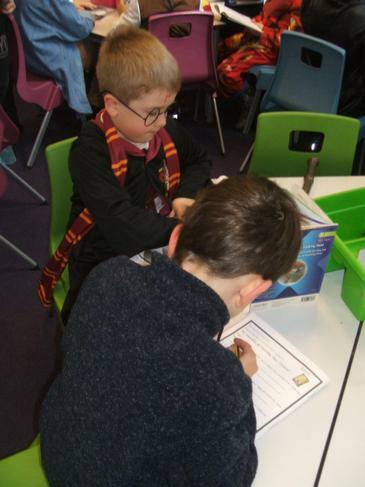 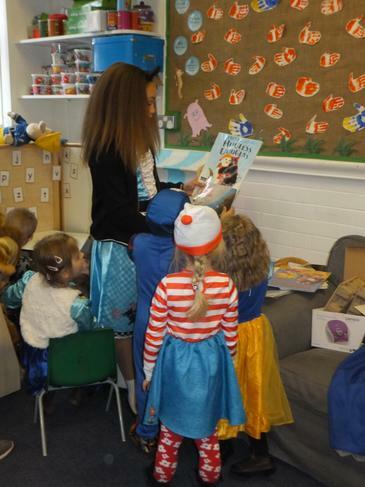 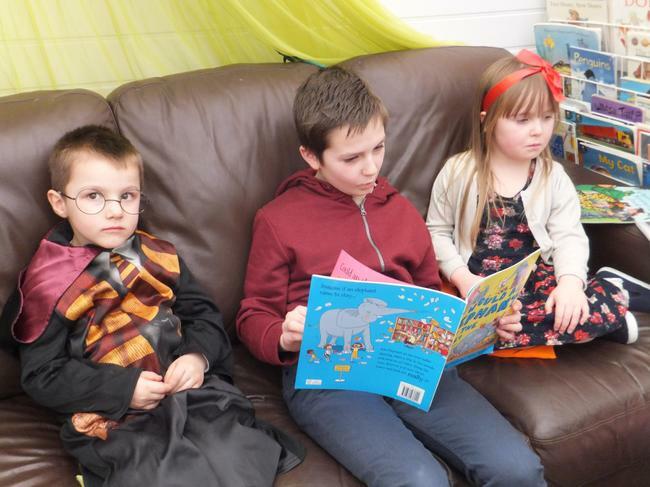 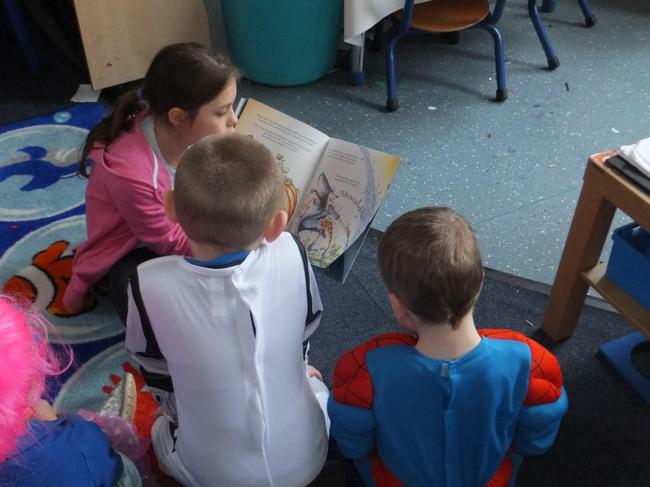 Year 2 had a great day dressed up as characters, reading together and having Y6 reading buddies!